How long have you been training in Taekwondo? What got you started? I have ‘officially’ trained in martial arts continuously across various disciplines for 18 years. Unofficially, I was immersed in martial arts and Taekwondo since birth. (My grandparents and parents were all martial artists; Rhee Taekwondo was my grandmothers and mothers main discipline and my grandfather and father were boxers who also cross trained within the traditional disciplines. In our family it is a way of life, both my sister and I followed along with family practice.) My official Taekwondo journey began at 10 as I watched the Taekwondo class after my Karate class. Having trained in Karate since 4, I was impressed by the fluid and dynamic power within Taekwondo. My first Sahyun (Master), who had also previously studied karate (Shihan) noticed my interest and encouraged a trial. I was enthralled by his seamless change between Japanese and Korean lingualy and physically. I was hooked! Amongst many successes at competition in Poomsae (patterns) and Sparring, the biggest personal highlights for me have been self-guided and autonomous discoveries, growth and decisions. Putting that stiff white belt on the first time, knowing I was embarking on my first self-determined adventure will always remain the pinnacle highlight. It laid the foundation for subsequent achievements and growth. The second greatest highlight (also a beginning) resulted from training and studying diligently in 2009 beside my Sahyun and sister in both theory and practice, so we could complete the first of many Nationally recognised coaching certificates (specialising in Martial Arts). The satisfaction of my sister and I standing beside him as a mentor, friend and fellow student when being presented our awards was a life changing highlight that now underpins the true success of my personal path: The incredible highlight of sharing Taekwondo self-empowerment by guiding children and the vulnerable who reward you with the “I just got it” moments and new-found confident smiles, discipline and self-directed autonomy within a safety net. Coming from a traditional background, the black belt grading was the signal for a new beginning and the focus on how little I really knew and how far I had yet to progress. This was compounded by my father’s (I’m a daddy’s girl) recent massive stroke that nearly killed him and left him aphasic (non-verbal) and paralysed on one side of his body. Having avoided grading since 2009, in spite of training and encouragement I was hesitant to grade. Whilst discussing this reluctance with my family my father half stood – half bowed, gave me a thumbs up and said “Black belt!” After he summoned his strength and will-power to once again do the impossible by overcoming his limitations and my resistance; I wanted to honour him by overcoming myself, fears and limitations – the way he did. For me, patterns and sparring are only physical barriers and by training rote they become almost instinctive. The obstacle I negotiated (maybe bluffed) at my Black belt grading, was facing myself, self-doubt, vulnerabilities and fear. Big lesson that day as I learnt that desire drives out fear (even for a short burst). How often do you train? In Taekwondo? Gym? Etc. I train many times daily as I also continue to study and teach Karate and Kung Fu and participate in seminars from various disciplines. 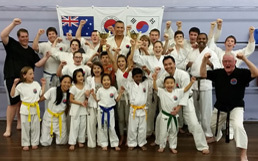 Thanks to the coaching specialisation I chose, I have been lucky enough to be invited and have attended everything from BJJ with Richard Norton To Arnis and Pilipino fighting arts with Hanshi Tino Ceberano and Escrimia, Eskrido and Pangamot with Master Craig Bajratarevic-Hayard amongst many other amazing training experiences (Training with these guys highlighted my insignificance and inadequacy but developed aspiration). Additionally, I also continue to study and teach dance in many styles (Latin, Ballroom, New vogue, Tap, Jazz, Contemporary, ballet and belly dancing. As a coach and fitness instructor my personal gym workout is often slotted in when opportunity arises. I love the explosive kicks and dynamic power of Taekwondo! My favourite move is ever changing! They all challenge you differently. If I had to select one, it would be the spinning heel kick. Sidekicks are currently my nemesis as I overcome injury. That’s the beauty of Taekwondo, the ability to overcome limitations and injury by challenging and adapting your body and style to maximise new strengths. What are your personal goals in Taekwondo? 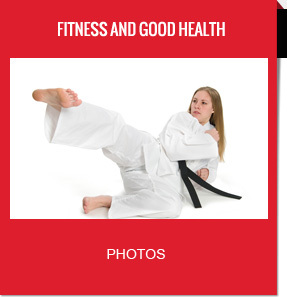 Has Taekwondo benefited home life? If so, in what way? Martial Arts is the foundation of our family, literally the way of life. The Tenets are building blocks adapted by my grandparents and parents for our home life and the rules we abide by for harmony, progress and respect within the home and the expectations placed on us when within the community. 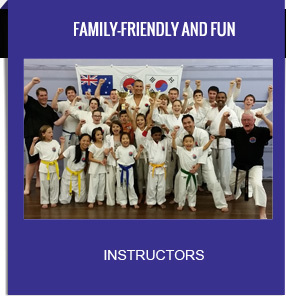 Taekwondo in our home has taught us respect, integrity, humbleness, courage and perseverance with spirit to be ourselves within our family unit. My mother often states that having children in martial arts was “cruise control parenting”, the support and backing of ethically aligned foundations is invaluable when growing and developing morals, integrity, courage and perseverance in children. “Don’t compare your life to others. There’s no comparison between the sun and the moon. They shine when it’s their time”. To me this eliminates competition and encourages observance that everyone reaches their potential in their time and in their own individual way. I have also adopted the mental mantra “If my age is a problem, I’ll grow out of it” as I am young in this field, I’m in this for life and my path is only starting to be forged. I have a long way to go. Jump in, immerse yourself! We are all starting new challenges and beginning new chapters! Relax, fight self-consciousness, we are all in this and have all been there. 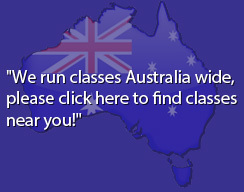 Learn with us and from us, we are learning from you too. It is strange and overwhelming initially, trust yourself and your instructor. Incremental gains lead to big out comes and small steps are still movement forward! Always advise instructors of injury, fears or limitations and work around them, become stronger in spite of them! Never stop because of them. What activities apart from Taekwondo do you enjoy? I have an eclectic range of interests thus activities! I am generally running from one training or activity to the next. I love family time kayaking, rock climbing, bush walking and camping! I tend to study a lot! Bachelor of Education plus continuing education credits and professional development for counselling, coaching and fitness training take up a huge chunk of my time, but I enjoy it! I also enjoy chess, skating, gardening and yoga. Confession time… I rarely sit down long enough to watch a movie! Quiet time in our family was chess, a board game or another activity. I have seen perhaps a dozen movies, mainly martial arts (cliché but true). I enjoyed watching Bolo Yeung, Jackie Chan, Van Dam and Bruce Lee. I admired the moral nobility of the stories and positive messages of overcoming trials for honour. Anything freshly grown or full of vegetables! We have a vegetable garden, with many fruit trees. I love spinach and strawberries! A well-cooked steak on the side is a bonus. Additionally, my goal both short term and long term is to incorporate more diversity amongst those who train. My greatest desire is to reach and train alongside people living with challenge. The multitudes of benefits derived from Taekwondo on those challenged by sensory, cognitive, behavioural and physical limitation and challenge are still being discovered. I also wish to share the empowerment of martial arts for those living in hostile domestic situations, so they can rebuild confidence and esteem from within. There are many opportunities and success stories from regular and elite ranks, and many coaches to guide them. In five to ten years and beyond, I will still be carving my niche’; re-evaluating and refining my coaching skills and understanding of best practices to reach those hesitant to train but who benefit equally in their own personal endeavours.